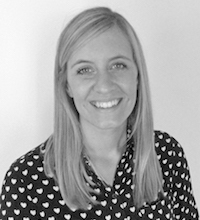 Originally from the UK, Laura holds a BA in Dance and Culture from the University of Surrey. Before relocating to NYC, Laura worked as a Projects Manager and Teaching Artist for a number of dance organizations across London and the wider UK, including the Royal Academy of Dance and London’s Southbank Centre. For the last five years, Laura worked as Projects Manager at Trinity Laban Conservatoire of Music and Dance in the Learning and Participation department. She managed large-scale youth dance festivals, workshops, school projects and a scheme mentoring young people to develop leadership, teaching and project management skills. Laura joined the Dancewave team as the Youth Leadership Council Coordinator in 2017 and is excited to transition to the role of D-Wave in Motion Manager.